Two former pupils of a Kent school died within hours of each other on holiday on opposite sides of the world. Natalie Skilbeck and Jack Salt, both 18, left Sevenoaks School in the summer and were travelling on gap year breaks. Natalie was working as an au pair on the island of La Reunion, near Mauritius, when she was involved in a road accident on Friday. Hours later, Jack, from Chichester, West Sussex, was killed in a climbing accident in Ecuador. Deputy head Graham Lacey said: "They were both very talented, enthusiastic and popular students." Jack, a former house captain, was considered "an outgoing, eager and thoughtful individual". 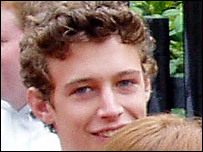 He was also considered a "very able" student and was planning to study psychology at Edinburgh University next year. In addition to working as an au pair, Natalie - who was known as a keen sportswoman with a "passion for rugby" - had been employed as a teaching assistant. 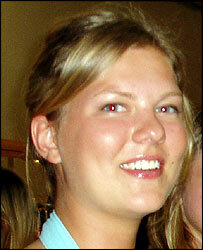 She had intended to study Russian and French at Bristol University . In the last year, a number of initiatives have been launched to help parents who are concerned about their children's welfare while away from home. In July, the father of murdered Briton Lucie Blackman, a 22-year-old woman killed in Japan, launched a safety service using text messages. Users of Safetytext create a message detailing their travel plans and set a time delay of between 30 minutes and 24 hours. If they have not cancelled the message by the deadline given, it is sent to a chosen friend or relative. Last year, the family of murdered schoolgirl Milly Dowler also promoted a safety campaign aimed at keeping parents in touch with teenagers by texting on mobile phones.